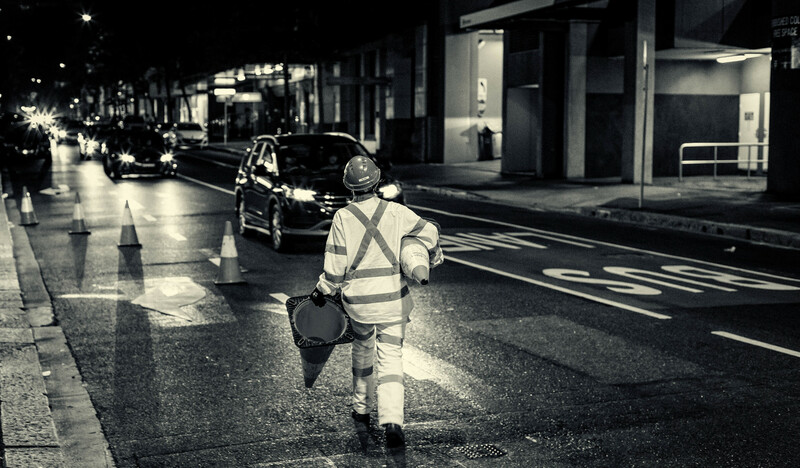 Mathew is a passionate monochromatic photographer, capturing images of Sydney on his way to and from graveyard shift work. 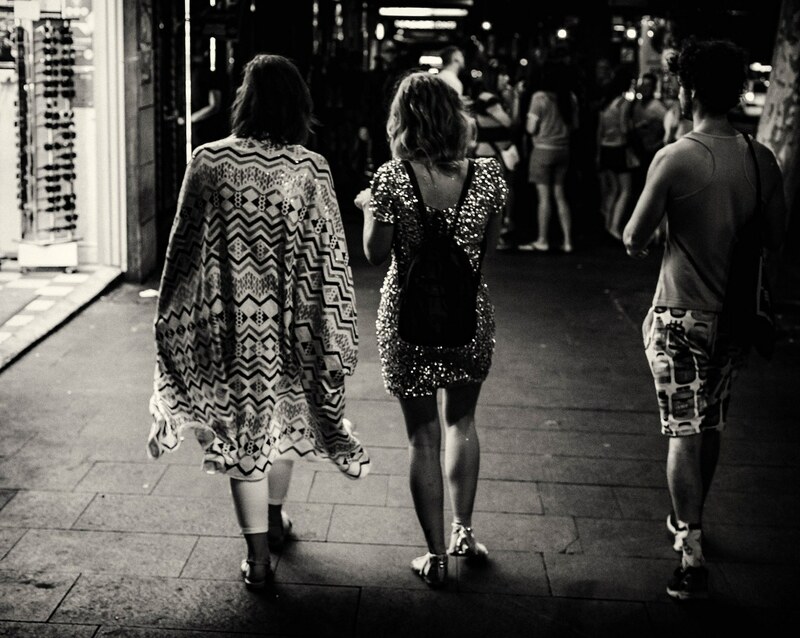 Mathew is passionate about promoting his love of street photography on his web and facebook sites. I struggled for a long time with what style of photography to start with. I had my mind set of landscape, I love good landscape photography. But than reality set in, I work the graveyard shift in the city and travel to and from work daily via public transport. I never get the time to visit locations suitable for amazing landscape shots. I was inspired by a blog post one day on street photography and on the way to work one day I decided to take a few pictures of people going about their business. I like the fact that street photography is “candid” and “real” and that it is easy to do, I mean I can go down the road or into the city and shoot street, I am not limited by the time of day or the weather or anything other than myself. I think people are interesting to observe,especially these days when people are so consumed with their phones and are very rarely paying attention of their surroundings. I read a blog post on street photography and just went out and tried it, I’ve only been taking photos for about 8 months and am totally consumed on ways of promoting street photography and bettering myself. I feel good street photography is interesting, I like the fact that it can be as affordable or expensive as you like. I own 2 cameras and 1 lens, 2 SD cards a monthly Lightroom and Square space subscription and that’s it. Also again I like “real” “candid” photos that are grainy and not over edited, that depict people going about whatever they’re doing at that time, you choose to push the shutter button. For me it’s the most exciting form of photography that I can think of. Practice and develop your own style, be proud of the images that you produce. When you share your pictures online/publicly remember there are so many so called “experts” on everything these days. I have come to realise the people that leave negative feedback or comments have no idea what they’re talking about. Most importantly again, develop your own style and don’t change for anyone. If you continue posting what you like there will be people that like your stuff. Trust me I’ve been there and experienced that. I mostly don’t go out of my way to go and shoot. I tend to capture my images going to and from work. I leave half an hour earlier to go to work and just click what I find interesting. Rarely will I go out of my way to go shooting,when I do normally it will be at night when my kids are in bed. I might pop into the city and click away. These are the times I will just walk around with no set plan or agenda and just watch and observe, and capture anything that is interesting to me. I have 2 cameras: 1 Canon 6D and 1 Canon G16. I own 1 50mm 1.4 Canon lens. I am not one to collect gear, I purchased the 6D as it’s great in low light, I shoot mostly at night so the 6D is great. I see a lot of photographers want to go smaller these days, I can’t…I suffer from a slight shake in my hand and I require the weight of a larger camera to make it comfortable for me whilst shooting. This reason is why my G16 rarely gets used and just sits on the shelf collecting dust. As for the lens it came with the camera when I purchased it, it performs great at night and is super sharp. I love prime lenses and may purchase 1 or 2 more in the future. Mathew’s blog is still shiny and new. The early content looks great, so hopefully he will keep it up! So, let’s check out his images! Mathew focuses on night and low light photography, taking photos on his way to and home from work at hours most of us would find quite tiring! Specialising and limiting the range of images can often have great creative pay offs. Sometimes the limitations are forced on us – I am red / green colour blind and struggle with any kind of retouching in colour. So, black and white has become a passion for me. Mathew’s odd hours have given him the opportunity to consistently explore shooting at night. Over time, both his eye for composition and the specific skills required for the difficult conditions will develop to higher and higher levels. The pedestrian crossings are used very differently in each image. The first one forms a pleasing V intersection where the pavement and crossing meet. As they meet on the right side, it provides a point of focus for the eye to travel to. In the second image, it provides more of a feeling than compositional element for me. There doesn’t seem to be much going on but the subjects are continuing to search for something to do. The crossing feels like a hamster’s wheel or treadmill. People who work at night dress very differently and do very different kinds of jobs to most of us, which makes them interesting. The image above has a great set of leading lines – the witches hats, the line of headlights and cars, and the lines on the road start with the subject and work up towards the top left exit point. The subject has a great figure to ground ratio – being very bright against the dark road, and with the safety markings interrupting the natural flow of his shape. Thanks for spending some time with MSP Mathew!